If you prefer the pampering, full-service experience of a Eureka Springs bed and breakfast, you’ll love our two luxury inn properties – the Inn at Rose Hall and the Peabody House. Or, stay in one of our historic town cottages where you can walk to Eureka Springs restaurants and shopping, while still enjoying the privacy of your own Eureka Springs cottage. Walking distance to everything downtown Eureka Springs has to offer. 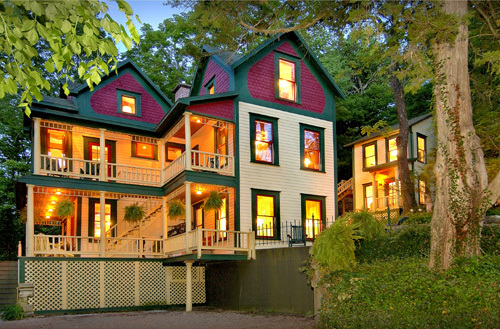 A unique and stylish downtown Eureka Springs bed and breakfast, the Peabody House is more than just an inn — it is a calming state of mind. Set in the heart of downtown Eureka Springs, radiant with grandeur, the three-story Peabody House serenely overlooks the soul of Eureka Springs, Arkansas. A place to truly relax (and finally finish that novel), the Peabody House offers all the amenities of a four-star hotel, cleverly couched in classic antique style with touches of whimsy. A luxurious bed and breakfast offering five exquisite suites. An elegant Victorian mansion in the Historic District of Eureka Springs, Arkansas. The Inn at Rose Hallis a luxurious bed and breakfast offering five exquisite suites, each with private bath and Jacuzzi for two, romantic fireplaces, fresh flowers, plush robes, designer linens, and more. Gourmet breakfast is served each morning by the most charming of innkeepers, Zoie. 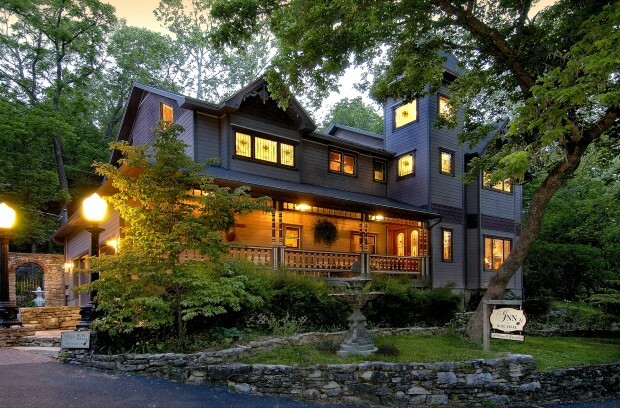 The Inn at Rose Hall is unsurpassed for its wedding and honeymoon accommodations and packages. 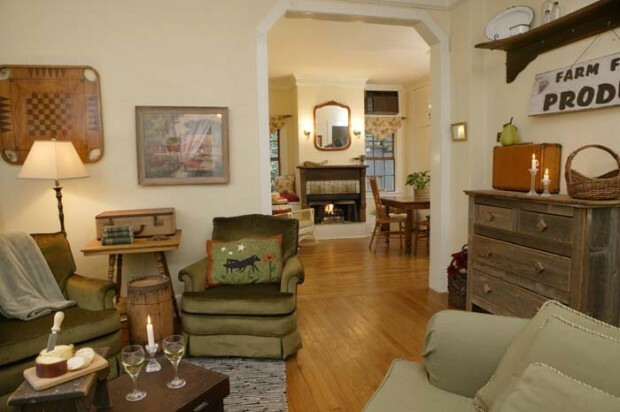 Just one block from Spring St, the Cricket Cottage is a private, two-bedroom downtown Eureka Springs cottage. This turn-of the-century “kit” Victorian was all the rage in the 1800s. Offering a comfortable living space, 2 bedrooms, gas fireplace, and whirlpool tub, this cabin features hardwood floors, stained glass, and eclectic antiques. The Cricket welcomes pets with well-behaved owners. Please see our pet policies.